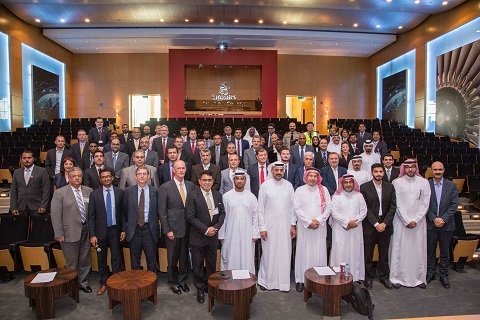 Dubai, 11 October, 2017: Emirates Group Security (EGS) in conjunction with the U.S. Transport Security Administration (TSA) recently held the Regional Industry Summit – Africa and Middle East (AME) at the Emirates Aviation College. The forum was attended by EGS’s senior management, officials from the Department of Homeland Security (DHS) and TSA as well as representatives of a number of nearby International Airlines. Personnel from EGS’ AVSEC Operations and Airport Security units also attended. The main focus of the summit was to bring together airlines from the AME region and discuss the latest, more stringent TSA security requirements on all flights into the U.S. This includes the now-implemented passenger pre-screening interviews and additional security screening measures at the boarding gate. This forum included in-depth dialogue on the finer points of the regulations between the authorities and airlines as well as recommended methods upon which to implement the new requirements. Presentations were also given by Emirates Group Security personnel.